Big Paddletail Shallow by Jeff Boggs. This bait is truly versatile and can be jerked, spinned, twitched and trolled. Being the shallow version, Big Paddletail Shallow will let you fish it down to about 2 meters but it is definitely showing its best side from 1 meter and up. 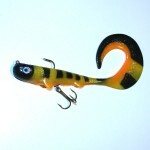 Big Paddletail is designed by Jeff Boggs from the United States and all baits are creates and colored by hand. The shallow version is suspending or slowly sinking, weighs 95 grams and is 20cm long and is possible to fish down to about 2 meters. 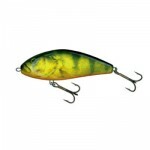 Category: Featured, Jeff Boggs, Lure Videos, and Swimbait/Softbait. 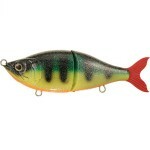 Tags: Big Paddletail, Jeff Boggs, and swimbait.